This butterfly style masquerade mask is had painted and has faux crystals. Comes with black ribbon ties. Color aqua. 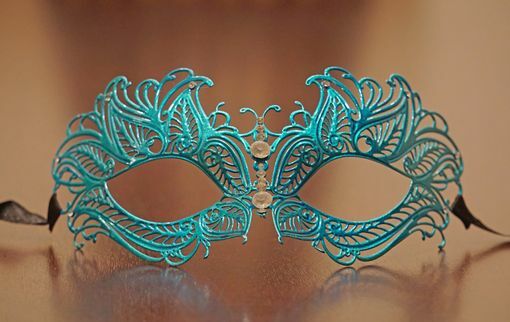 Be sure to check out all of our masquerade masks!